Question: Is there anything more obnoxious that someone who has lost a great deal of weight (and is still far from done) picking on people who are today doing what the still overweight bully was doing only a short time before? Answer: Yes, two obnoxious weight loss bullies who ban together to call other obese people gluttons, pigs and stupid morons. No, I have not been attacked. I see it out there and I read it elsewhere. If someone wants to be The Obnoxious, that is their business. If I don't like what they write, I don't have to read it. They don't bother me and I do not join their bullying. I thank God my life is not endless existence in middle-school. I do not have to join in their bullying or laugh with them at the expense of others. It is heartbreaking to watch people fall into the same behaviors over and over again but I don't need to send them hate mail or call them out like they are Goody Proctor and this is the Salem witch trials. 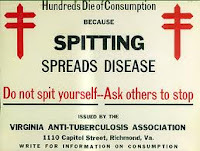 I am grateful my well being does not hinge on belittling a sick person. At the same time, when someone in the midst of their own unhealthy weight shares dessert recipes, buffet descriptions, excessive food photos and candy give-aways - I am gone. I need to maintain my recovery from food addiction and not worry about winning a candy bar contest. I think they are misguided but I am not going to laugh at them or about them like they are a freak show. I am not going to encourage you to witness their train wreck. I just don't go there anymore. I become silent on their blog and perhaps even choose to lose the link. I support and encourage those I follow through any setbacks providing they are honest. What I cannot do is drink the Kool-aid of someone who puts their ego before their honesty. The more I feel someone talking the talk is also walking the walk, the more I want to encourage them. I stop commenting/following when I see people are lying not just to themselves (we all do that sometimes) but lying to everyone else as well. I don't have time for other people's junk. Do you know what I mean? I have to hope they accept they have a problem - but I am not going to brand them with a scarlet letter as though they are weight criminals. Keeping the pounds off means I have to be honest day in and day out - even when I want to lie and say anything but the truth; I have to be honest for my own physical, emotional and spiritual health. But the truth is not a weapon to hurt others. I do not need to make other people cry. I do not need to proclaim 'my truth' as gospel and make you agree with me. I don't have to make you look at other individuals so you will not look too closely at me. Look for what helps you maintain the pounds you have lost. Read those who encourage your progress on this journey. 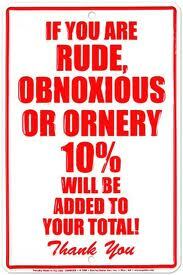 Don't totally discount The Obnoxious. You can learn something very valuable from The Obnoxious. You can learn what not to do. If someone obnoxious thinks your journey is fodder for their minions to chew on and spit back at you, take it as a reminder of what YOU do NOT want to become when you have succeeded. 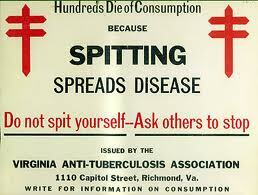 Spitting spreads an obnoxious disease. I have a few blogs where I check back in a few times a year to see if things have changed. So far they have not changed for the better. And I silently slip away again. I am always hopefully that one day they might be better, but I can't watch a train wreck. And I also can't silently stand by. It isn't my place to comment and they would not understand if I did. They are just in a very different place. The really unfortunate part of all of this is the type of blogs you describe often have huge followings. The enabling and codependency is palpable. It is vicious circle. I agree. We shouldn't follow people to catch them messing up whether through foolishness or ignorance. It is interesting to watch how followers pile on and even become more insulting and rude than the one who lead them there. Is this the "groupie" mentality, survival of the fittest, or what? I am not proud to say I have seen that tendency in myself. I can spot that in myself and remind myself of what I have done through unwise eating. In order to fit in, we become like the group we want to be a part of. It's an easy step to take. We must always remember that we could always be what we might have been. Stop following those who aren't serious if that serves us best. We can comment on the blogs of those who are trying but having difficulty about the problems we see. This is the way to help. do these blogs have a lot of anonymous comments? Because things can really get vicious then. I think it is better to block anonymous and yes, then we have to work on our spelling and mental acuity with the brain teasers (somehow I am finding it easier now that they have gone to two, than I did when it was one). AND you would be surprised (or maybe you wouldn't) at how much those of us who are doing well are ridiculed too. I have been made fun of for many things over the years. When weight-centric bloggers start monetizing their blogs they have an incentive to continue blogging, even when they are no longer following a weight loss program. By then they've built up a huge following, they are often making their living off of the blog, and they can't afford to go dark or admit to the stall/gain they are experiencing. So they keep posting about how "this is a journey" as they put photos up of the cupcakes they continue to eat and justifying their stall/gain. As the above commentor states, I'll go back and check on certain of these bloggers periodically and they never progress. Their blogs fill up with banal rhetoric--and the photos of cupcakes--because they can't afford to stop blogging. I try to stick with blogs which are monetized as I feel they just have more integrity. "Aren't monetized" I meant to write. If I hold a candy contest - for crying out loud call me on it. I read on a blog today that they do not post progress pics because people write terrible things to them. I am aghast. I feel like I may have missed something! Are bloggers being mean to each other out there? Vickie - I've had people be mean to a follower of my blog but not to me. I just deleted their comment when it was nasty. I expect I will get my fair share of nasty comments when I have been around long enough. You aren't kidding when you write vicious circle. People do get vicious - some when you want to take away their candy and others when they cannot stand that other people have not put their candy down. Downsizers - It is easy to get into that survival mentality. Hang with the 'popular girls' or hang with the 'gang. otherwise people will bash you. It is so 8th grade and I have been guilty at times myself. Paris - Would I lose integrity it I put up a paypal.com button for donations to my plastic surgery fund? My photos are needier than some of the puppies in the rescued pets commercial. Paris - I am so glad you added the second post with the correction. LOL - If I thought I could make $ on the blog and NOT hurt my integrity with my readers I would do it - but not if it included ads for products I do not support, which is why I never monetized with ads. I do not want a Slim Fast ad appearing next to my name! Munchie - you know I would! I would be waiting for you on your next trip to Florida with a net to drop over year head. Very well stated. I have been wanting to do a similiar post but was afraid of the backlash. I have been very fortunate to not have had any mean comments but I also made a point of not accepting Anon comments. When there was some trouble commenting I did open it up for awhile but then changed it back shortly there after. So far I have been very lucky...I haven't had any mean bullies on my blog, but then again, my blog isn't super popular nor do I purport to be a "weight loss blogger" in the traditional sense. I think what happens oftentimes is that someone gets a taste of success and thinks he/she knows it all! Some of the bullying that goes on with some bloggers really makes me sad. I really to try to respect others and hope that they will in turn show respect to myself and others. I like a dose of tough love now and again, but I do not like bullying. I also don't like B.S. And man, weight loss blogs are full of B.s. Ups and downs ARE THE NORM of life and weight loss. We ought NEVER kick a "loser" when they become down, a gainer, have setbacks, have issues. THAT IS WHEN they and WE need support most...when we're self-destructing for this or that reason. Or no reason. Just cause weight loss is hard as heck and we get pooped. I try to support still at least one blogger you've given up on. I know I emotionally attach to certain bloggers, or feel maternal toward some of the younger ones, or sisterly, or just have a link somehow, so even when they act like nutjobs, I feel sympathy and want to see them...heal...get up...move forward. I believe in the Golden Rule. If I don't want it said to me, I try not to say it to someone else. That doesn't mean I can't get really honest and that honesty can SEEM a bit tough. But I do try not to cross the line to mean. I try to temper what I say, and maybe some days I don't manage to do it WELL, but I never intend to be cruel. And when I've been unduly tactless in the past...guaranteed...I regret it.REGRET IT. I do give up on blogs eventually..usually cause after prodding and hoping, it's clear THEY gave up...and so I leave. Hopeless situations are not where I can dwell. But I've gone to silent blogs and tried to post "come back" messages, even months after. Even a year, in one case....because I feel bad when bloggers who once inspired me give up. :( THAT HURTS!!!! But yeah, bullying....it doesn't help. Even when well-meaning at its core, it just stirs up some stuff mixed with pain...and then it settles down. Still, I'm old school Golden Rule--I'll try to treat folks the way I'd like to be treated, supported, and NOT dismissed. Lost bloggers is a whole separate topic. My oldest lost blogger is from 2006. I have another from 2008. many from the last year. I still check back and leave comments so if they ever look at their blog, they know someone is still out there. and the whole issue of supporting bloggers who are in chronic vicious cycles of self sabotage while not letting them sink us is a tough one. It is like having an addict in the family. When is it support and when is it enabling? tough topic. I was the subject of a "bully" post quite a while back, when I was really struggling. He pointed me out to his followers, laughed and ridiculed and it felt just like middle school. Now that I'm really on a roll, he of course doesn't point that out. Some people just never grow up. I'm glad I'm not one of those people. Honestly, I know of every single one of you who commented here, from being around blogland. I would put you all in the successful category, to learn from and have respect for. (well, obviously except for Anonymous). No... not brown nosing. Just being honest. See... I am only halfway to my goal, and still struggle. And a couple of days ago I received a most nasty comment of the type you all talked about. And it was NOT motivating. At all. This person didn't tell me anything I didn't already know: that I had stuff I was still working on! Saying it sarcastically and nastily and then trying to justify it with the label "tough love" is just a lie!! And Princess Dieter has been known to show concern with tough comments, but she IS one I highly respect, and am quite certain of her good intentions. So I think it's the heart that counts. One is to help, truly out of caring, like Mir. The other makes you feel kicked in the stomach, and belittled and reminds you of all the cruel things that you've heard all your life. Sorry to be so longwinded. This is a raw topic I guess. I can't speak for anyone else.. .but I think most of us WANT to keep improving. We really do struggle, and do try to make progress. Just don't give up on us too fast, okay?? Well said, Jane. This is a problem out here in Blogland, but I guess you can find the bullies anywhere. The interesting thing is that their caustic comments provide more negative factors about themselves than the person they are skewering. It soon becomes obvious that they have some significant problems.